This soultion implements a set of 2.4G wireless dual microphones with USB receiver system. It could be used in the professional audio amplifier system or the KaraOK sytem, etc. With TI's ultra-lowpower MCU controler controlling the power supply of the microphone, the battery life is longer. The volume can be manually changed with the key and the power and connection status is indicated with color LEDs. High-Performance 2.4 GHz Digital Wireless Stereo Microphones. Automatic or manual pairing betweent the microphone and the dongle. Automatic volume gain control with the ADC chip. The dongle could work as a analog input to the mixer or work as a USB audio input device to the PC. Working range coulde be over 100m. 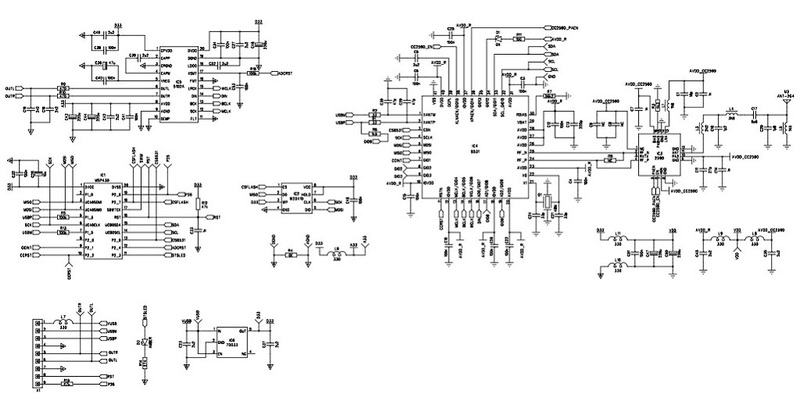 This design is tested and include the configure files for the CC8531 and the MCU source code.